Cowboys & Indian Magazine has feature the White Oak Ranch & Vineyard in the Real Estate Roundup: Western Wine Country. Read more about this luxury listing! 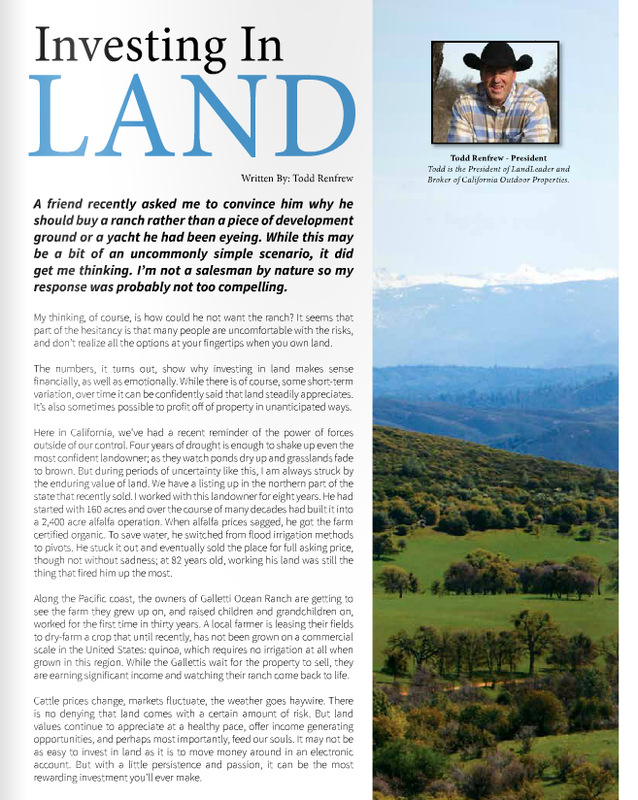 Our broker, Todd Renfrew, explains his reason for investing in land. Read more on his take. Our broker, Todd Renfrew, was featured in the Broker Spotlight for Land.com. Read more about how Todd landed his dream job of selling the finest ranches, farms, & recreational properties!